is known as the Caribbean capital of golf. Dominican Republic’s lush landscapes contrasted against stunning aquamarine shores create an idyllic setting for some of the world’s most breathtaking golf courses. Golfers are taking note, traveling from the U.S. and beyond to golf the greens of Dominican Republic’s one- of-a-kind courses. For U.S. golfers, it’s easier than ever to reach Dominican Republic. Cities including Atlanta, Miami, Philadelphia, New York, Chicago and Houston offer direct flights, so golfers can plan tee times for the days they arrive or depart. Dominican Republic’s tourist-friendly golf courses help visitors save time and eliminate the hassle of packing clubs by offering professional grade rentals at all locations. Golfers looking to explore outside of Punta Cana and La Romana can take in other destination courses from around the country. 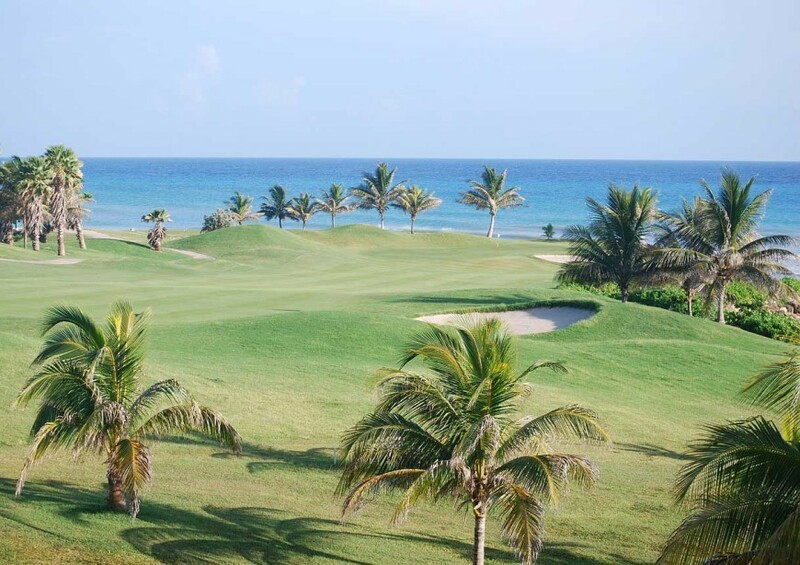 Santo Domingo is a stone’s throw from pristine golf courses such as Guavaberry Golf & Country Club in Juan Dolio. Near Puerto Plata, courses including Playa Dorada and Playa Grande —the final masterpiece of Robert Trent Jones, Sr.—beckon to golfers that prefer staying on the country’s north coast, known for adventure activities and water sports. We have got your transportation needs covered! #1 Voted The Best Airport Shuttle / Transfer Service in Punta Cana. Book now your safe and comfortable transport!